We featured Bernie Krause on this blog before; he has spent his life recording natural sounds from around the world. PRI’s The World featured a story about Bernie Krause this week because last October (2017), his studio and his life’s work burned to the ground. Many sounds he had in his library were of animals that are now extinct. He has recordings of elephants that were later poached (killed), and orangutans in forests that are now gone. He now lives about 120 miles from the Camp Fire which burned the town of Paradise to the ground, and has been living with the smoke from that fire for many days, as have many Californians. 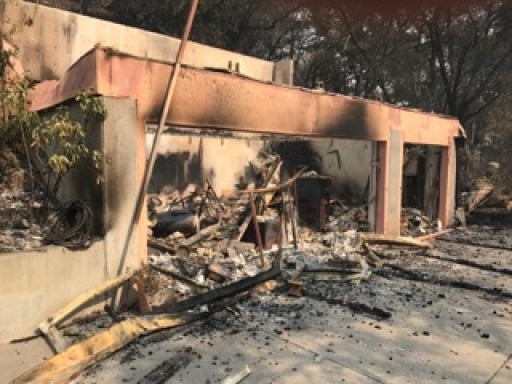 The photo is by Bernie Krause, of his house after the Nuns Fire in October 2017.